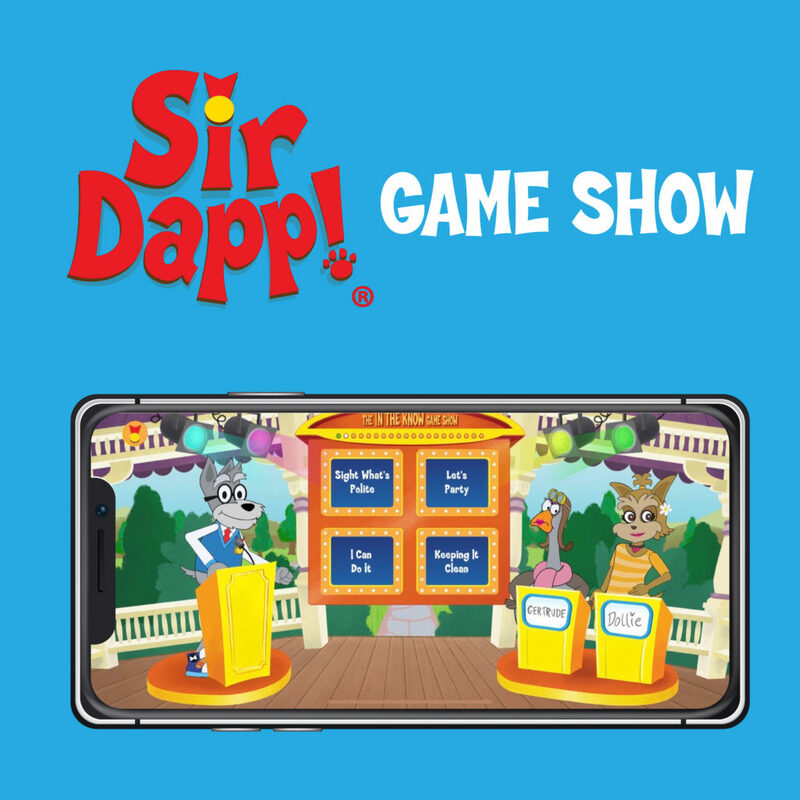 Fun and etiquette come together with an animated silver-haired Schnauzer in the Sir Dapp! Game Show app. Children select from categories like “Sight What’s Polite,” “Historically Rude,” and “Trivia Soup,” with the main canine character, Sir Dapp, guiding them to complete fun raps, decide “who did it?,” figure out what is polite or rude, and more. Occasional commercial “breaks,” PSA’s, and music videos with teaching messages further the game show theme. “Kids will enjoy the app’s fun cartoon characters doing a game show and the questions that are presented in rhymes.